Tyson Deaton did it all Tuesday night. The senior forward led Liberal with 14 points which included a three pointer. He had a big night rebounding again for the Redskins and played defense against Guymon’s best player Trey Fankhauser holding him scoreless. 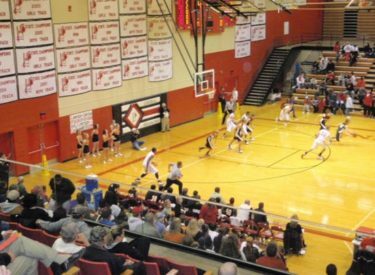 Liberal defeated Guymon for the 15th consecutive time 49-33 Tuesday night in the Big House. Jade Cathey added 11 points with K-State football assistant Charlie Dickey looking on. Cathey committed to play football at KSU. Bryan Morris added 10. Guymon’s Braxton Dain had 17 as the Tigers fall to 4-1. Liberal is 2-0.